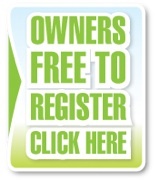 Once you and your dogs' details are registered it is quick and easy to enter a show using your credit/debit card or paypal account. Book your classes, camping and catalogues and receive your booking confirmation by email. The entry forms are based on the postal ones but ours are easy to read, automatically signed with the money totalled, cleared and have crucial information highlighted. On close of entries we provide you with the printed entries forms, a spreadsheet of all entries, and a transaction report. The money that is collected for entries and extras are held in a client account and can be paid by electronic bank transfer or ONE cheque.